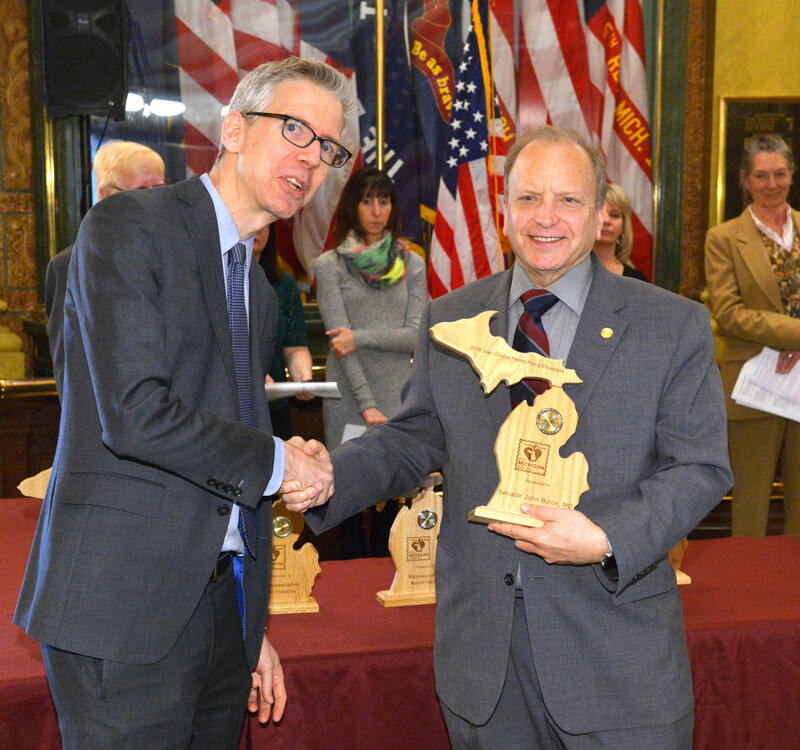 LANSING, Mich. — Michigan Department of Health and Human Services (MDHHS) Director Robert Gordon (left) on Wednesday presented Sen. John Bizon, M.D., with the Jean Chabut Health Policy Champion Award at a ceremony in the Capitol rotunda. 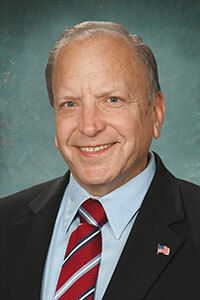 Bizon and four colleagues received the award for introducing bipartisan legislation signed into law late last year that modernizes HIV reporting and testing requirements. “It is an honor to receive this award for introducing a bill that will help decrease the stigma surrounding HIV, increase access to care and bring the public health code in line with current science,” said Bizon, R-Battle Creek. Wednesday’s award was presented as part of MDHHS’s Michigan Public Health Week, which is designed to help protect and improve our state’s health. Note: For a print-quality version of this or other Bizon photos, click the image or select Photos under the In the News tab, above.